While writing for an educational journal, I interviewed Timothy Treadwell during a conference on bear conservation. I decided against writing an article about his coexistence with Alaskan grizzly bears, since he seemed unstable the day of the interview and lacked any kind of scientific support or affiliation. 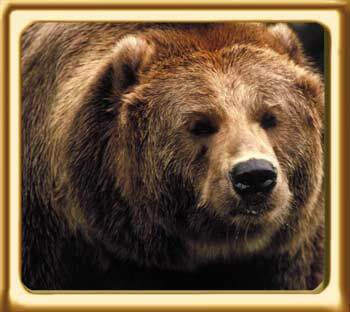 So it was of great interest to me to watch Grizzly Man. Especially after hearing of his demise, a few years before. He was, after all, killed by a grizzly as everyone predicted. Treadwell believed that his 'in your face' style of living side by side with Grizzlies was a great way for him to study and protect them. Yet on the day of our interview, he was unable to provide me with much in the way of what he'd learned. Brief glimpses during the documentary seems to suggest he was documenting grizzly behavior and taking numerous photos. So I was disappointed that this was of little importance to the filmmaker who focussed more on Treadwell's unstable self centered rantings. Though many oppose Treadwell's methodology, and the bad example he was thought to be setting, more of his written observations about grizzly behavior could have been emphasized. 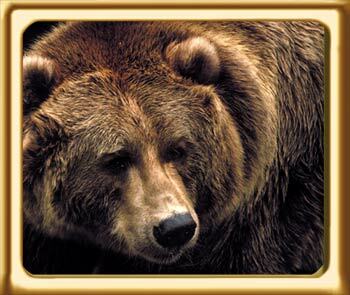 Thirteen summers is a long time to live with grizzlies, and many are surprised Treadwell survived as long as he did. Despite his claims to love the grizzlies, my concerns focus on the bears. Becoming habituated to one friendly human leaves an animal more vulnerable to hunters or poachers. True selfless love is about doing what's best for the object of your affection. Habituation almost always equals death for the bear, as it did when one was shot after Treadwell's grisly death. Parts of his body were found in the bear's digestive tract. One element of the documentary I found poignant, was Treadwell's concern that people, like myself, weren't taking him seriously. He obviously gained knowledge about bear behavior, surviving around them for thirteen years, but neither he nor the Treadwell video diary clips presented in the documentary translated much of that knowledge to the viewer. During the same year, I interviewed and wrote an article about wilderness guide and photographer Charlie Russell who lived with brown bears in Kamchatka, Russia for several summers. Unlike Treadwell, Russell is better able to translate his knowledge and experience and has written several books on bears. Knowing that Treadwell took numerous photos and kept journals about his bears, I'm astounded that no book ever surfaced. The Grizzly Man documentary did briefly reveal that Treadwell made quite an impression on school children during bear presentations. On another personal note, the documentary reveals Treadwell's former troubles with alcohol. This makes me question if my disregard for his efforts was me detecting that weakness and heaping it onto his apparent lack of legitimacy. The documentary confirms my decision not to write an article about Treadwell, though at the same time, I now feel a bit sorry for the guy. He was committed to the bears and living there to protect them, but the documentary makes it appear as if he was all about his own problems. If only Treadwell was more credible or had some kind of scientific support. Not that I agree with modern science's invasive study methods of tranquilizers, probes and the cutting off of body parts. But I do respect their knowledge. The end of the documentary suggests that Treadwell's presence significantly reduced poaching on Grizzlies. 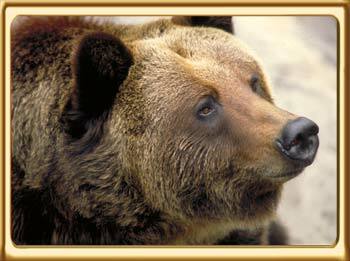 Though dismissed by park officials, up to six bears may have been poached in the area Treadwell patrolled during 2004. The year after his demise. There has been no poaching in this area for over a decade. In summary, Grizzly Man could have been shorter. Either less Treadwell ranting and or replace some of the ranting with bear knowledge or his impact on society. Copyright © 2005, 2006, 2007, 2008, 2009, 2010 Candle Films. All rights reserved.